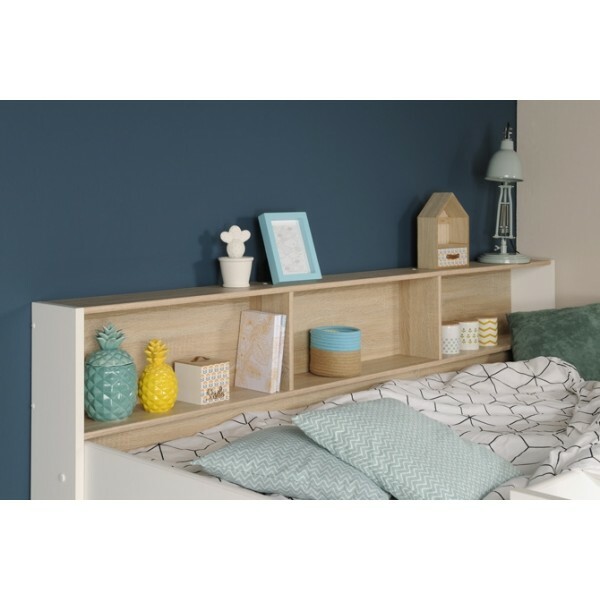 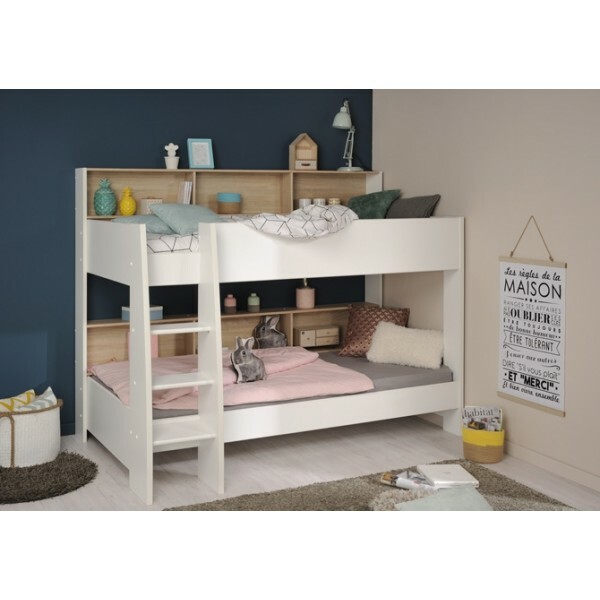 The Parisot Aldo two tone bunkbed would be a great addition to any child’s room, with its modern and sleek design. 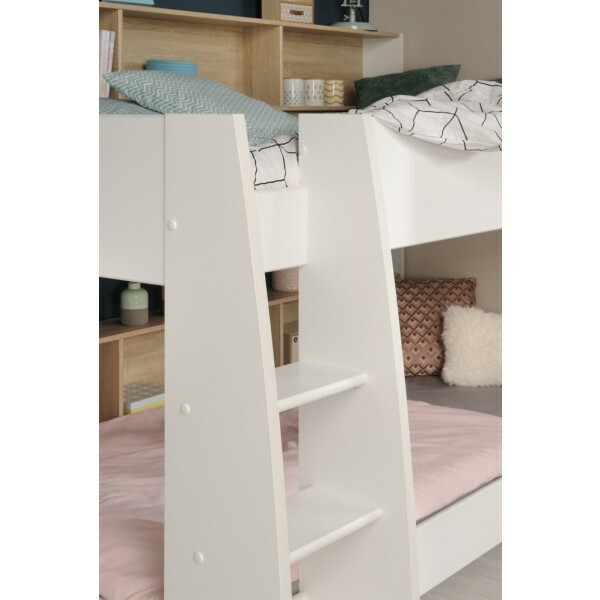 The integrated shelving is perfect for all those bits and pieces your child holds dear, a great space saver bed that will allow them to relax with their things without feeling cramped. 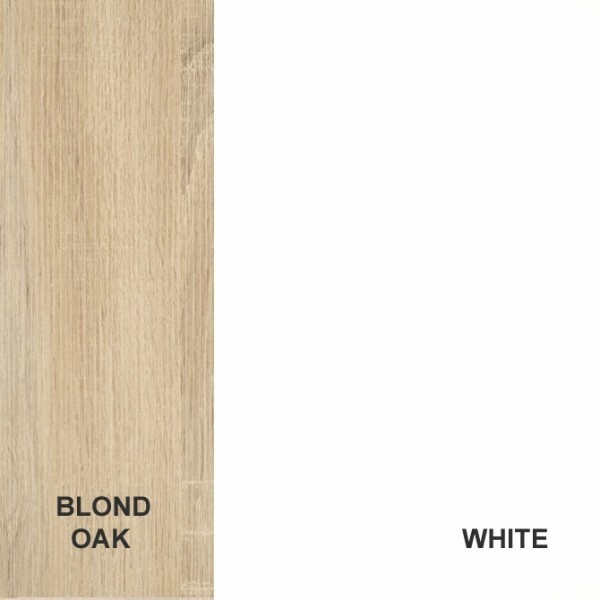 Finished in clean crisp white and with Blond Oak panels, this gorgeous bunkbed would surely be a winner in any child’s bedroom. 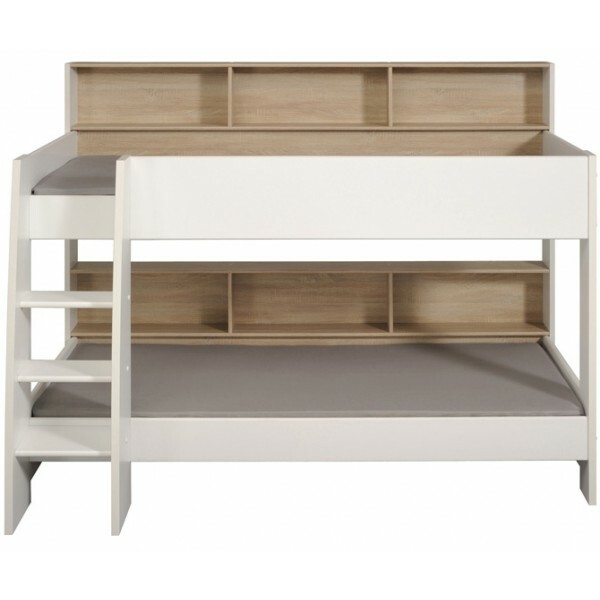 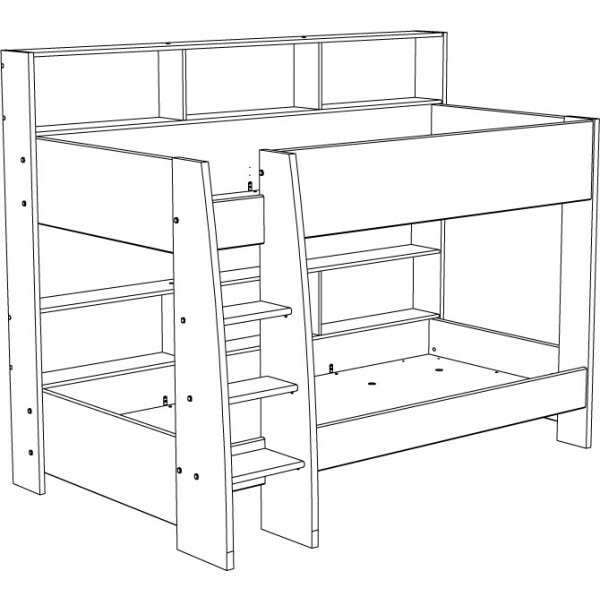 Your gorgeous Parisot Aldo bunkbed will require European mattress’s measuring 90cm wide x 200cm long x 15cm deep. 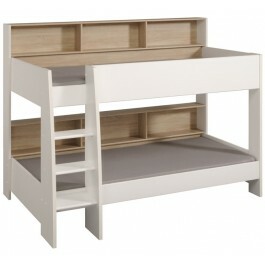 An underbed storage drawer in matching Blond Oak is also available for this bed.